When one of your sewing and styling idols posts a testing call, you only debate for half a second if you have time to participate. Then, you wait on pins and needles for the acceptance email. Needless to say, I am thrilled Threadbear Garments has joined the pattern designing industry. 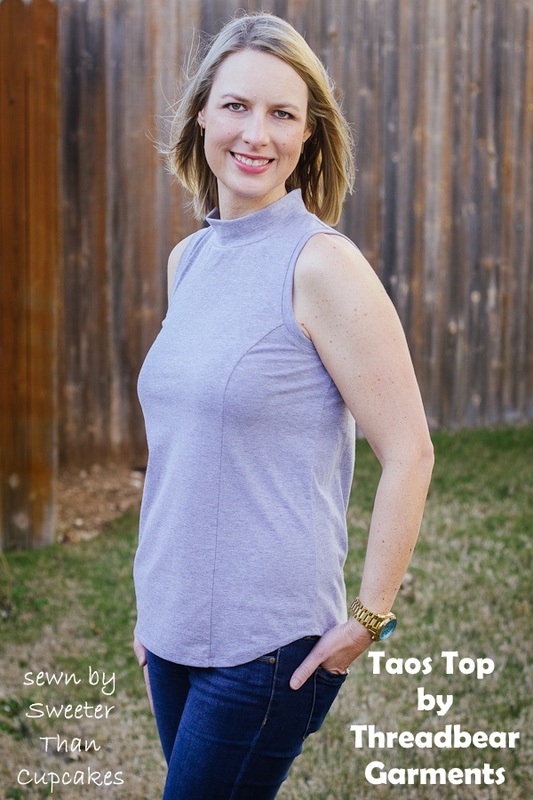 The new Taos Top is a simple yet stylish design. The pattern includes two views with options that you can mix and match. This view includes the mock neckband and curved hem. The pattern also features options for a cowl neck and mitered hem. The fit of the princess seam style is fitted at the bust and more a-line toward the waist and hips, so it skims all the right places. I made the size 8 adding 1.5" in length. The only adjustment I feel like I may need to make is one for a forward shoulder. I haven't needed this before, but I think it may eliminate some of the drag lines around the neck I see in the photos. This is a midweight knit, but I'm not entirely sure where I got it. I really need to find a better way of tracking my stash! I can't leave this post without noting the quality of the pattern. I was basically blown away by Leslie's attention to detail, beautiful layout (yes, a pattern layout can be beautiful), and overall intentionality of the pattern. Leslie didn't skimp on her first pattern to hit the market. The Taos top checks all of the boxes for easy to follow instructions, detailed illustrations, and polished product.